Don’t shout at me or leave rude comments but we’ve started our Halloween crafting. I know it’s early but we thought we’d make a head start. The weather can’t seem to make its mind up what season it is which doesn’t help. One day we’re wearing winter woolies and the next we’re back in our sandals and shorts. Autumn is my favourite season and we’ve been planning Apple Days and our Autumn fairy garden. 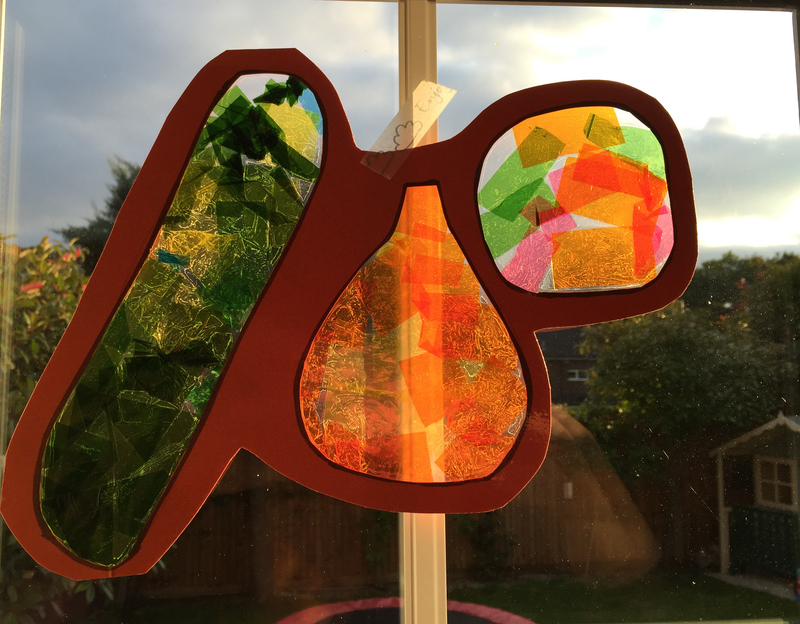 Therefore it seemed pretty natural to make some Autumnal sun catcher decorations. My 5 year old was asking when we would be able to buy our annual pumpkin and this inspired our pumpkin and gourd sun catcher decorations. 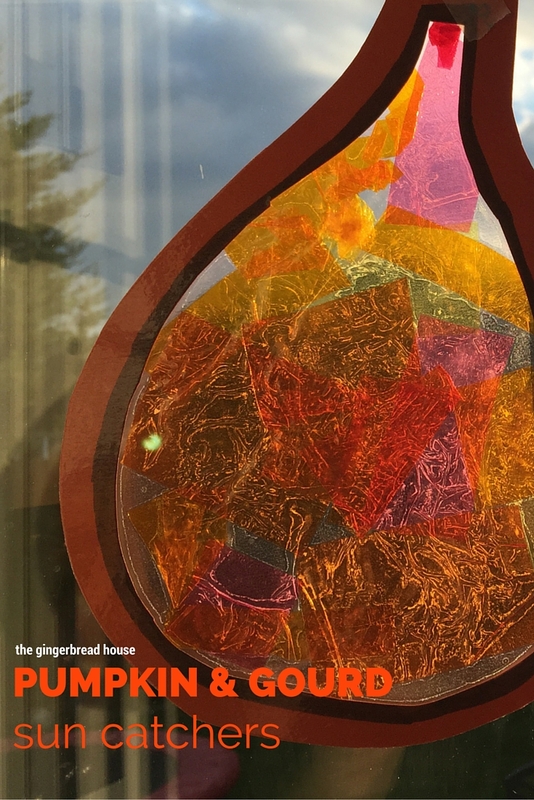 We love to make sun catchers so have a plentiful supply of cellophane, card and contact paper to make them. 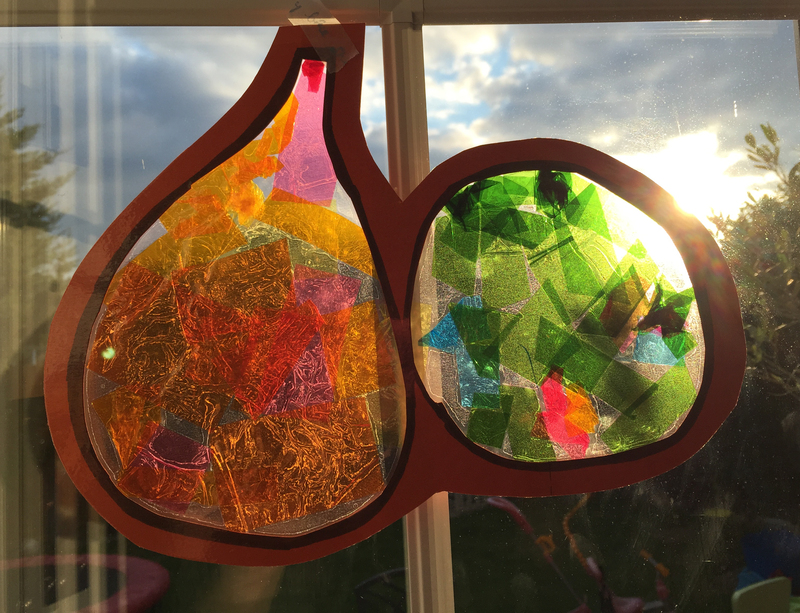 Our pumpkin and gourd sun catchers were made with a simple pumpkin and gourd shape on a piece of card which my 5 year old cut out. I covered the front with contact paper then turned it over and he covered it with pieces of cellophane which he cut up. 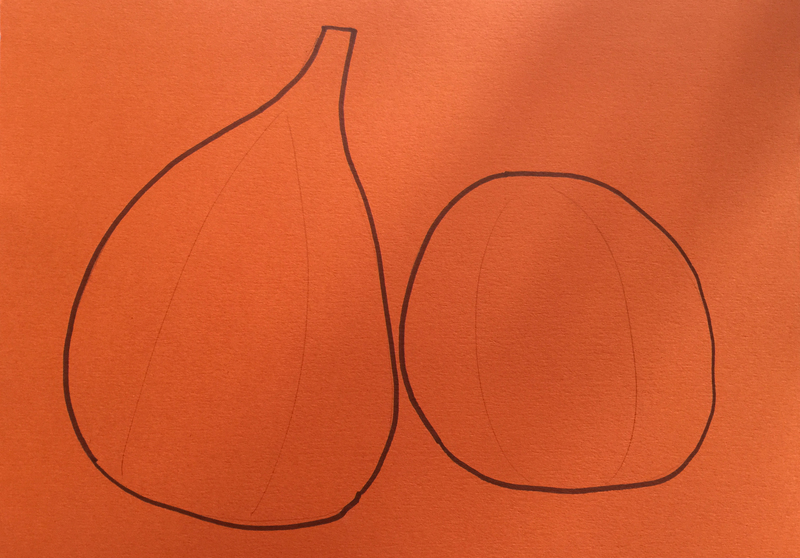 My 3 year old enjoyed learning about gourds too. 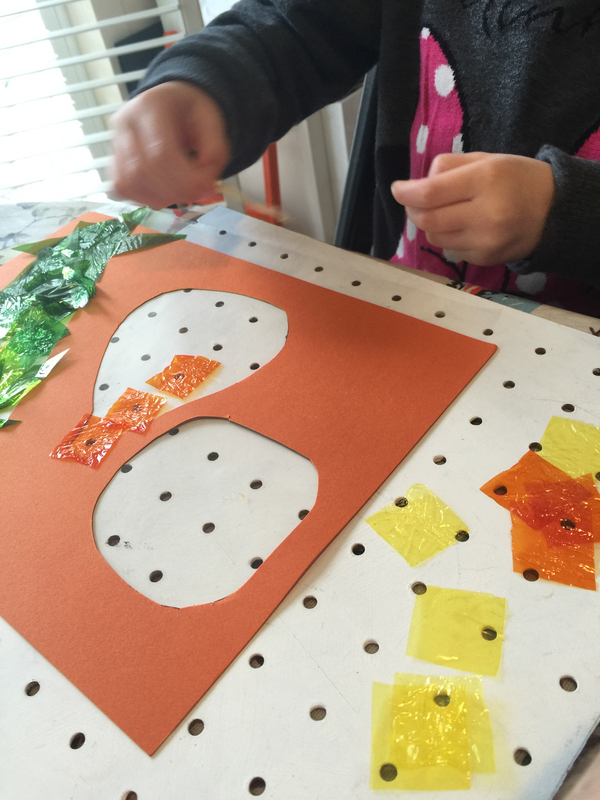 She needed a little more help cutting the strips of cellophane into small pieces and enjoyed scrunching them between her fingers to give them some texture. This is a lovely simple craft for celebrating Autumn and has definitely added a splash of colour to our living room. I love sun catchers, they’re so pretty and these autumnal ones are lovely. Very artful autumn decorations, lovely! thanks for sharing on craft schooling Sunday! Can’t really think about fall around here, today i think it was almost 40C!